When the exterior constructs of your home begin to attract more dust than compliments, it may be time for a professional cleaning by the eSquared Asphalt Maintenance team. We provide a thorough explanation and completion of each project and guide you through your material and product choices with information about cost, performance, and protective qualities to ensure your complete satisfaction with your finished product. For professional residential pressure washing of all of your structures, call our team at 254-716-8685 to discover why we lead the Waco and Temple, TX area in pressure washing. Exterior Wall Pressure Washing Eliminate stains and grunge buildup on any exterior wall with our powerful exterior wall service. 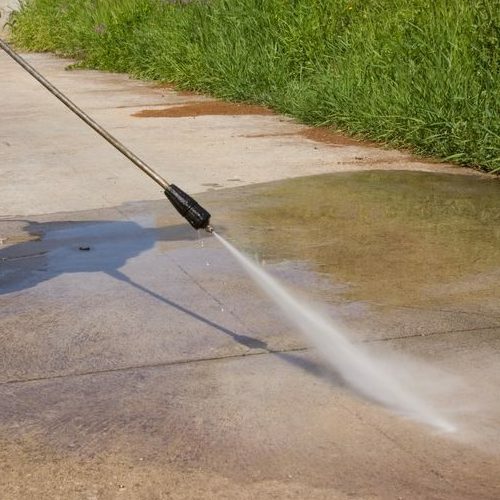 Driveway Pressure Washing Learn how a clean driveway can benefit your concrete longevity and your property value with our expert guidance. Mold, Mildew, and Dirt Pressure Wash Removal Remove mildew and mold from your exterior for good with our state of the art techniques and cleansers. As a business owner, you have many regulations and standards to follow to avoid fines and other repercussions from local and state departments. Our professionals are knowledgeable and experienced in all local and state codes and guidelines and can provide compliant, comprehensive services to provide your business with cleaning that protects against slips, degrading concrete, and paint fading and chipping. For expert commercial pressure washing in Waco and Temple, TX, call our experienced technicians at 254-716-8685. Restaurant Pressure Washing Find out how our professional pressure washing services can help both in and out of the kitchen. Code Compliant Pressure Washing Learn why it’s important to use a code compliant company and how it can potentially save you money. Concrete Stain and Gum Removal Experience just how much gum and stain removal can improve the look and feel of your business. Whether your home is need of mildew and mold elimination or your commercial parking lot is getting a little too slippery, our experts can provide comprehensive pressure washing that complies with all regulations and provides a complete clean that lasts and protects. To find out more about the benefits of pressure washing in Waco and Temple, TX, call our consultants at 254-716-8685 to schedule your appointment.